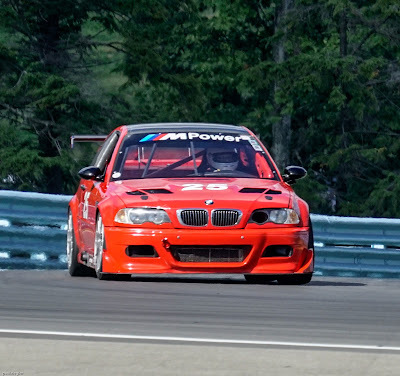 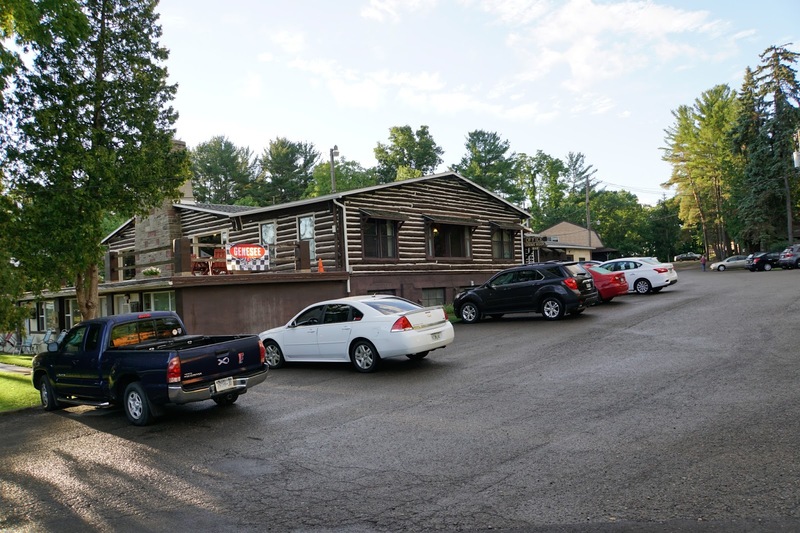 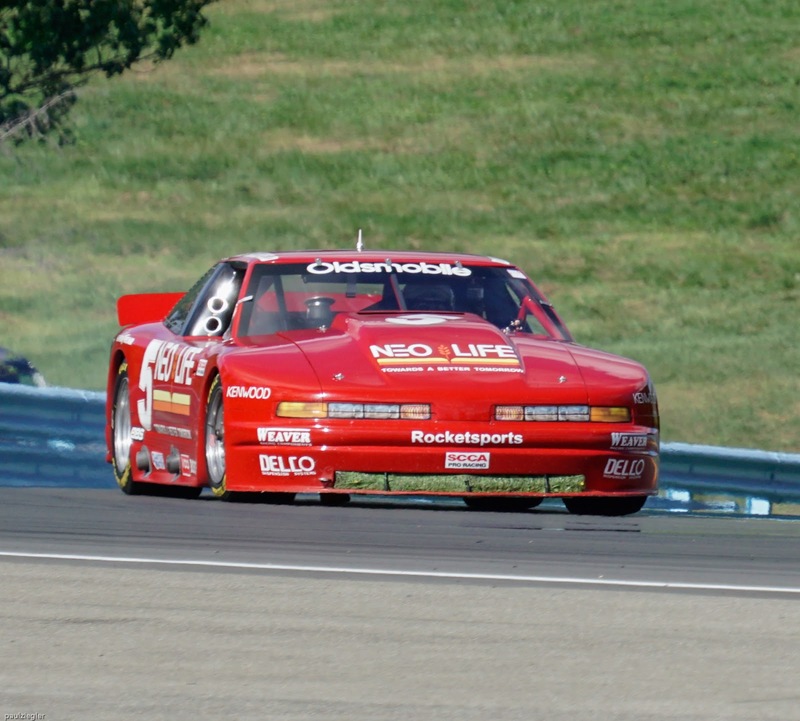 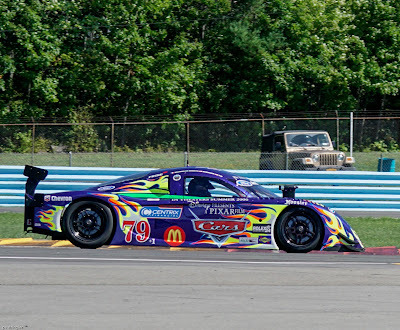 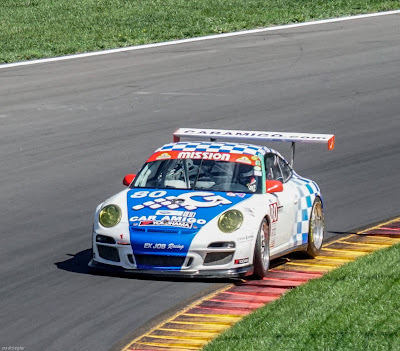 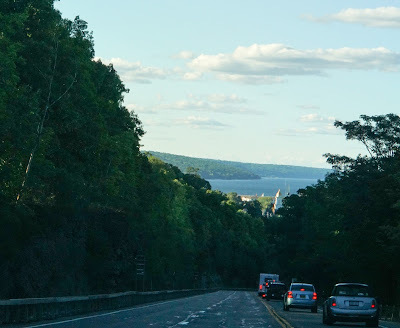 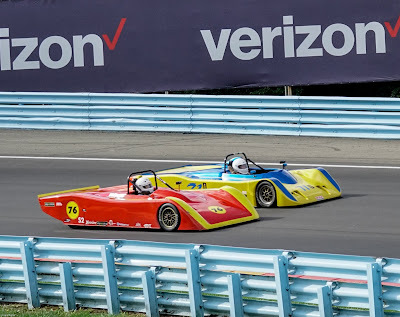 Late summer in Watkins Glen, NY is a treat for anyone wanting to get away from it all; see the beautiful scenery of the Finger Lakes region of Upstate New York and as a bonus, take in the excitement of a race. 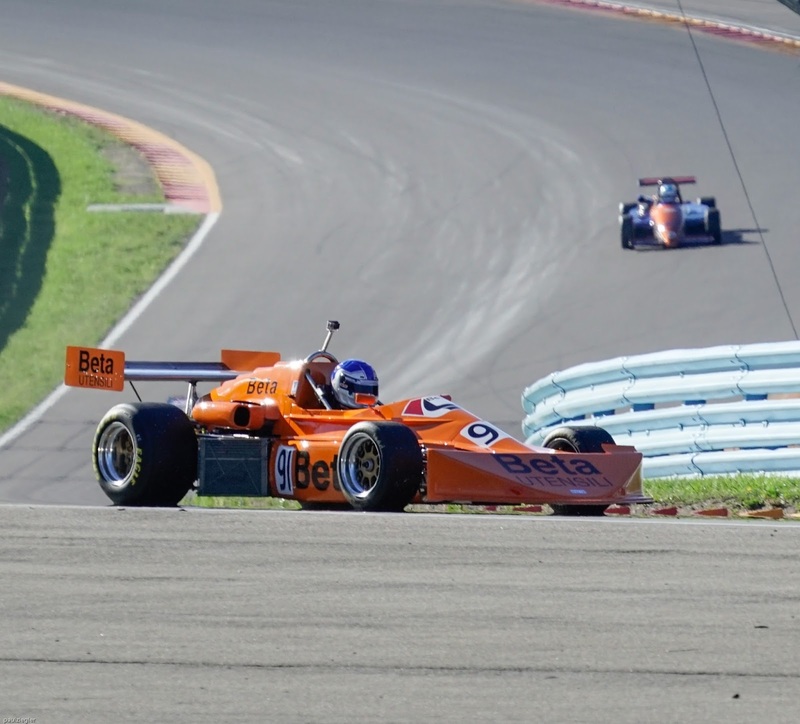 This race weekend hosted a series of several races over a 3 day weekend with literally all kinds and classes of race cars. 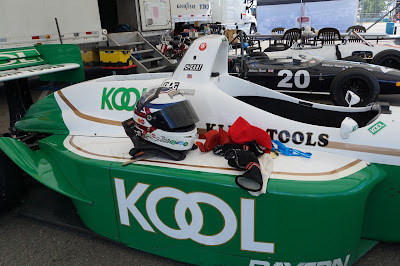 I was there for Sunday only but what a lot of racing in one day! 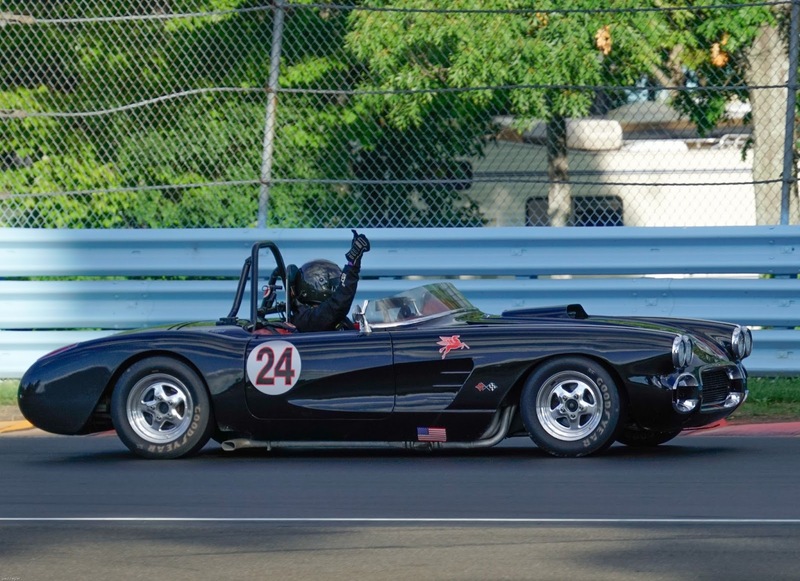 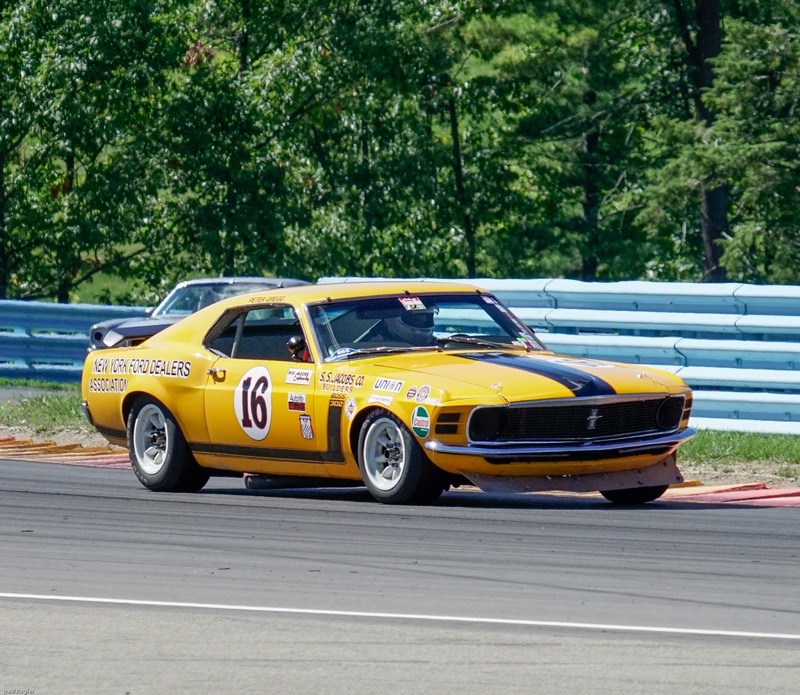 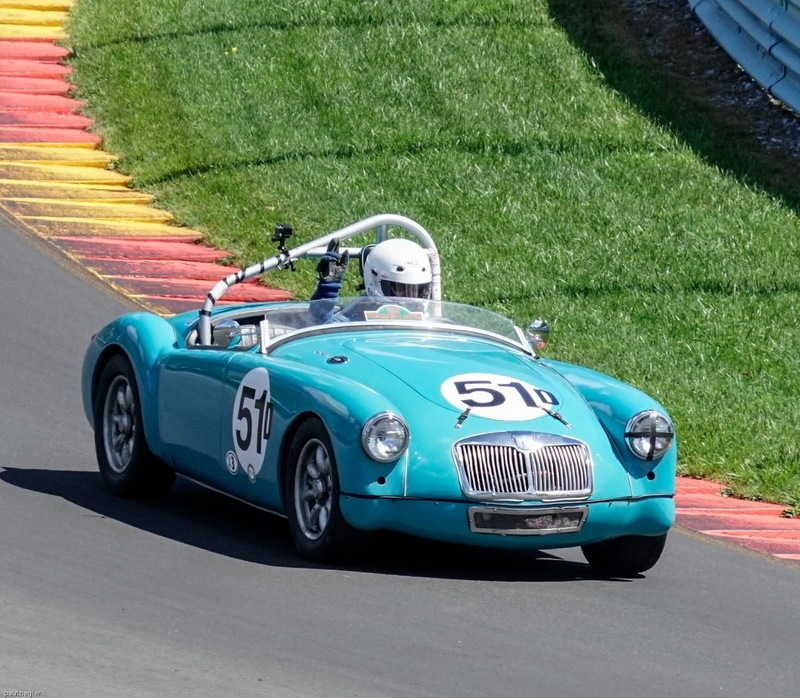 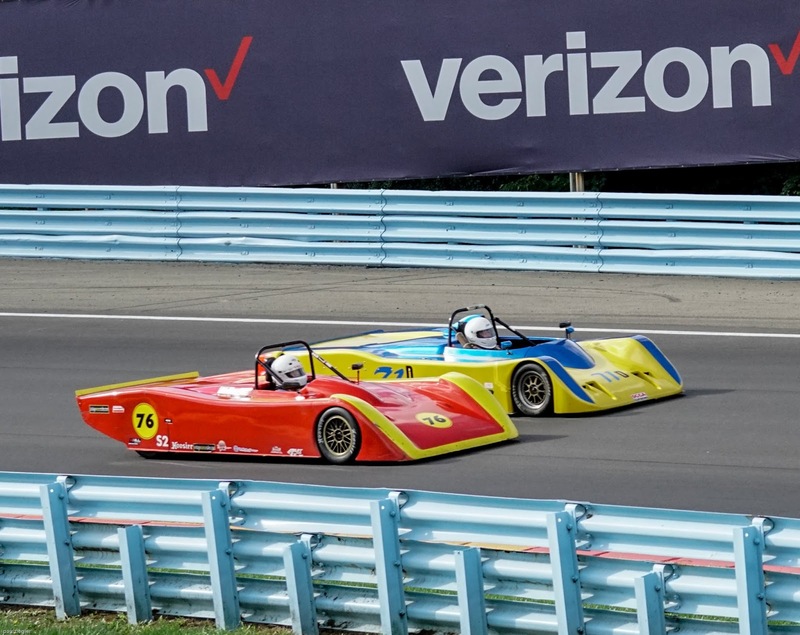 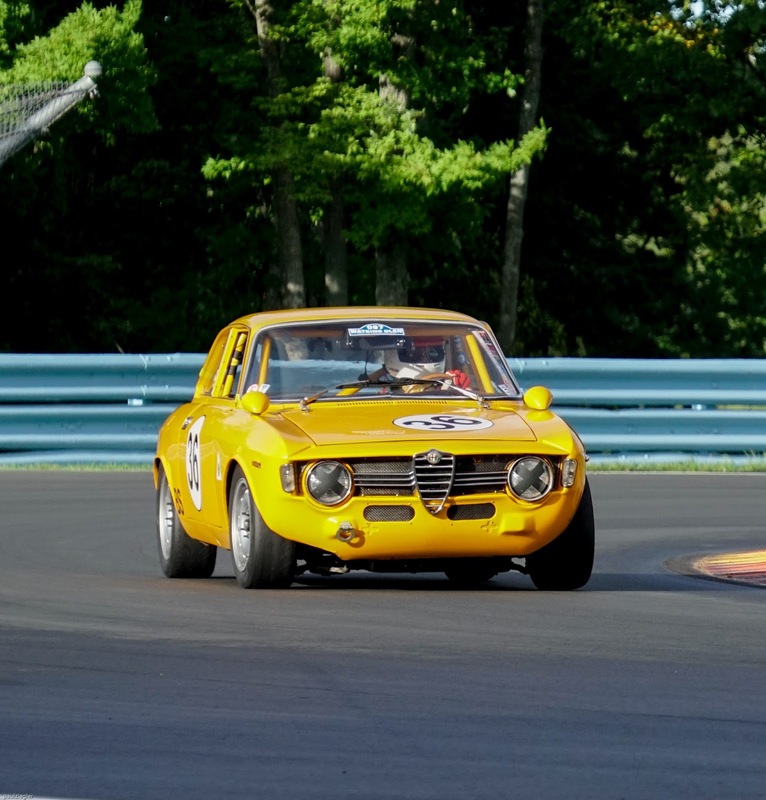 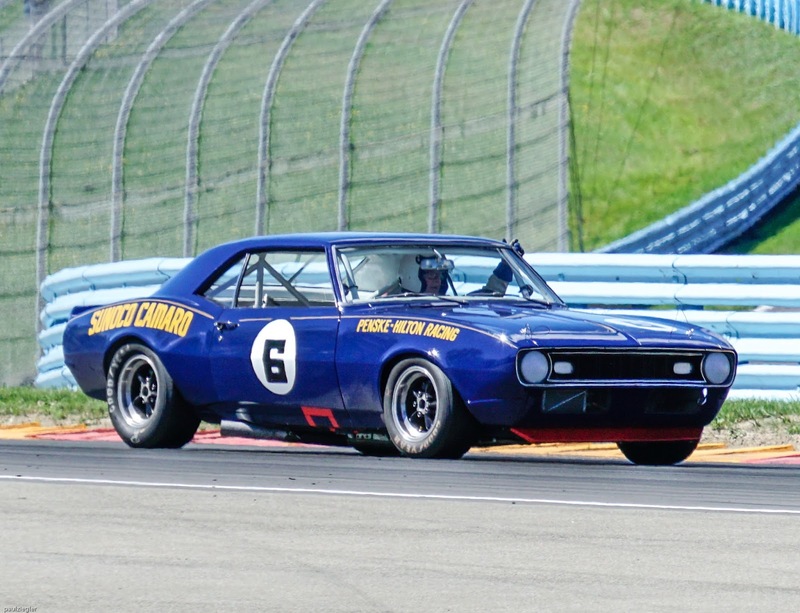 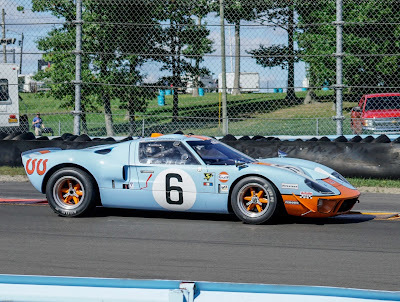 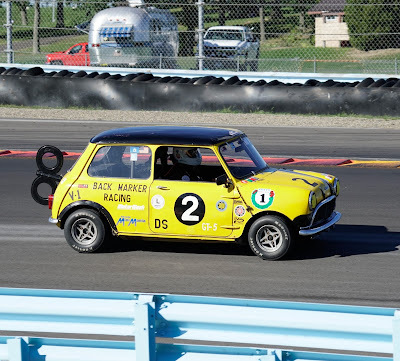 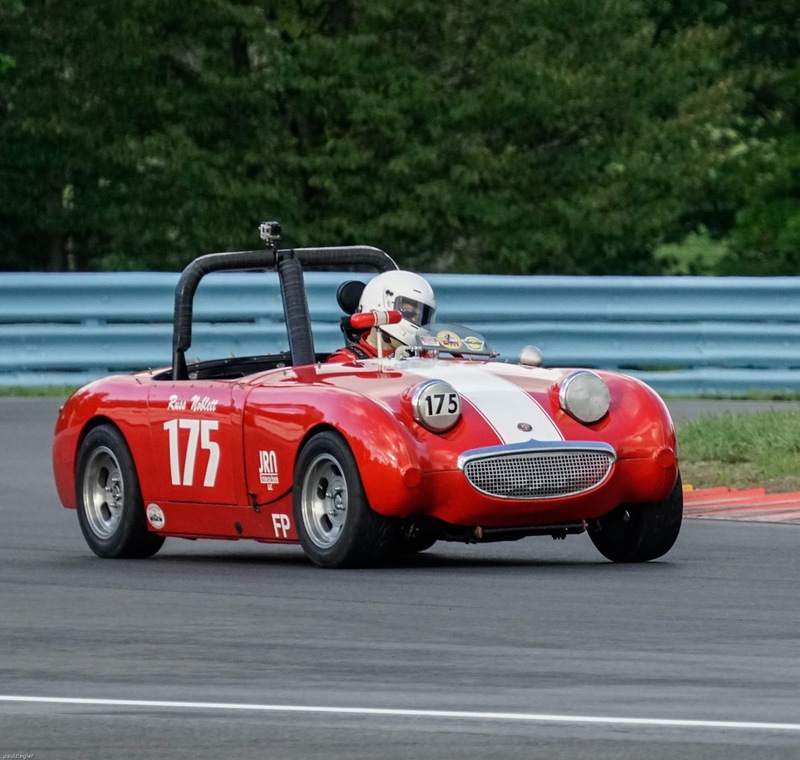 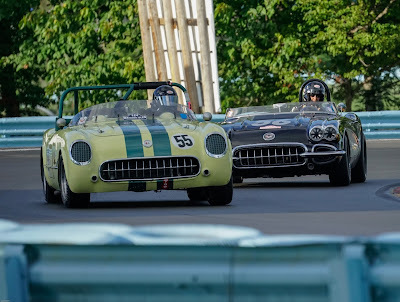 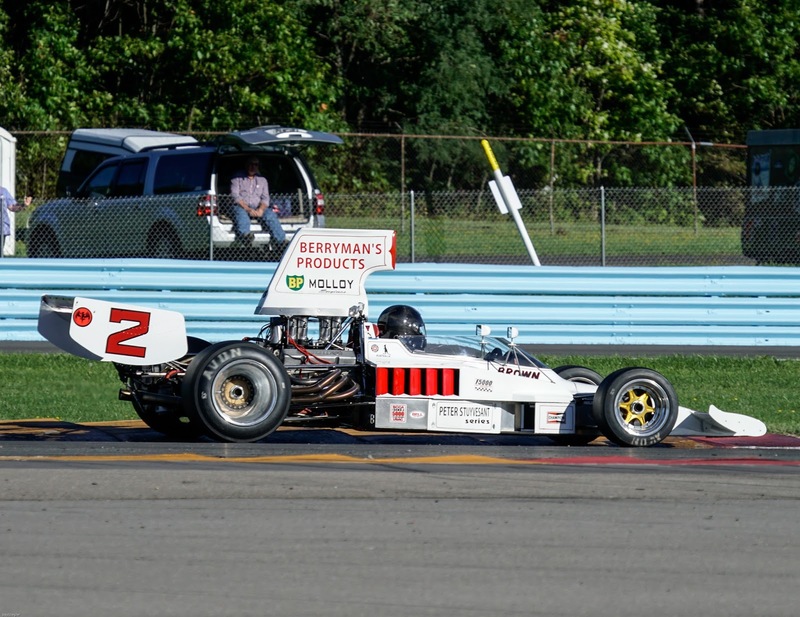 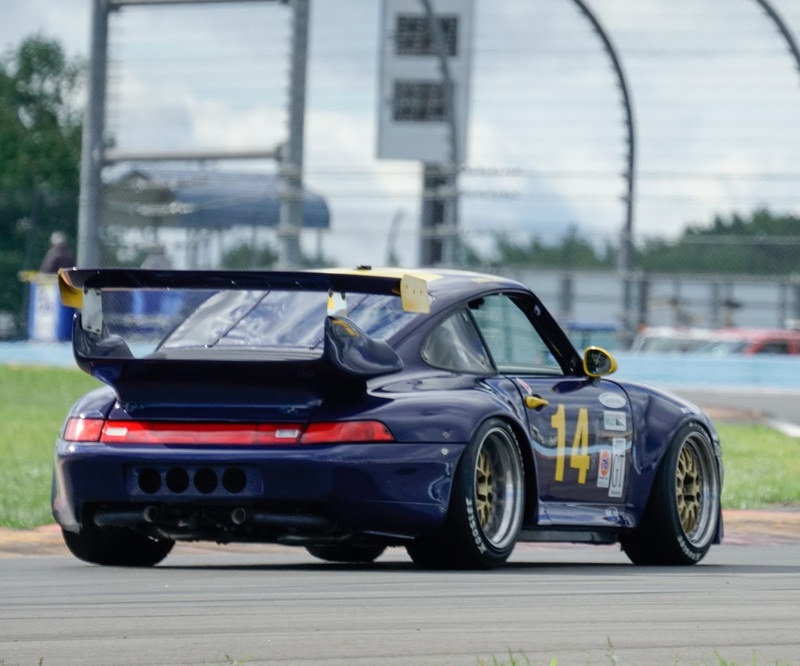 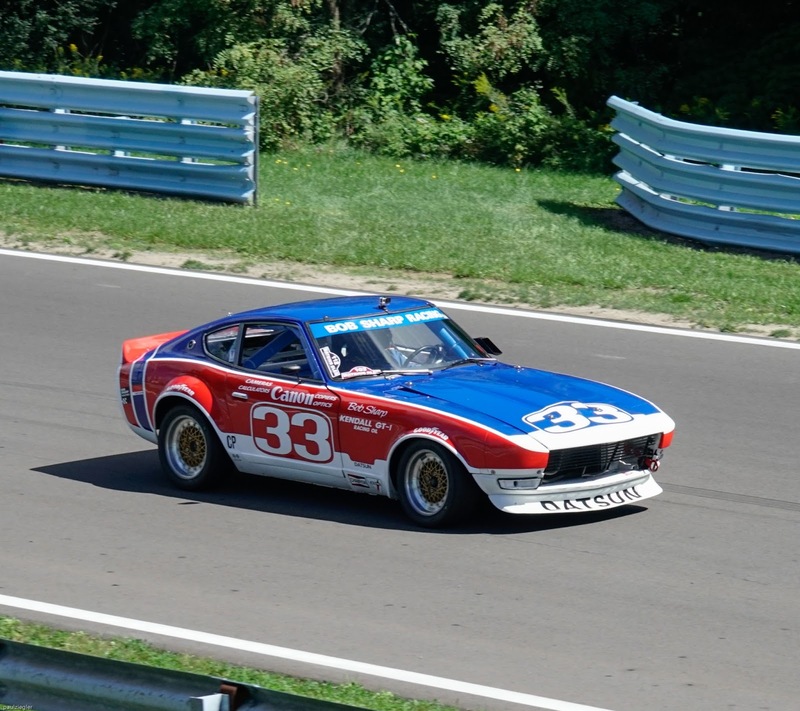 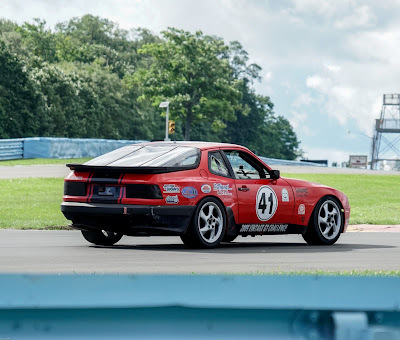 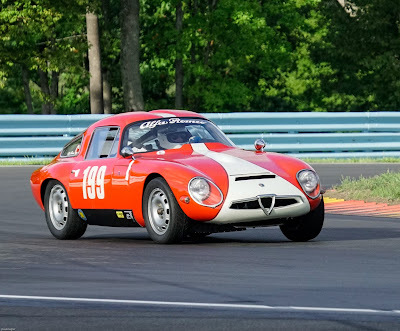 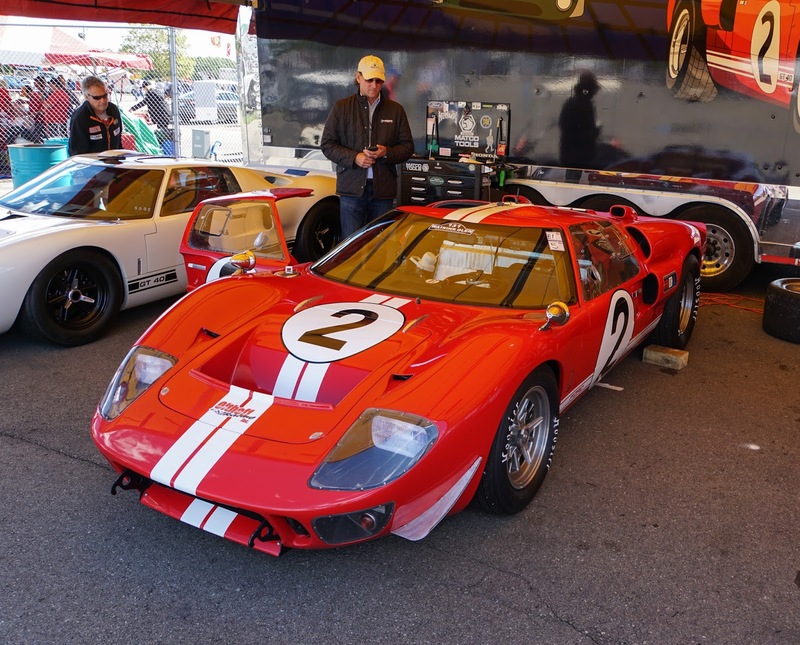 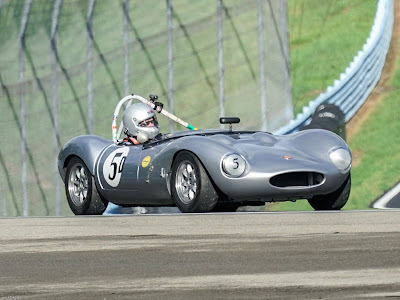 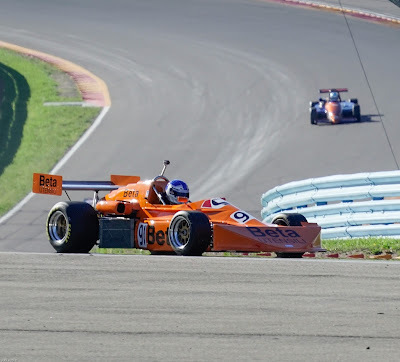 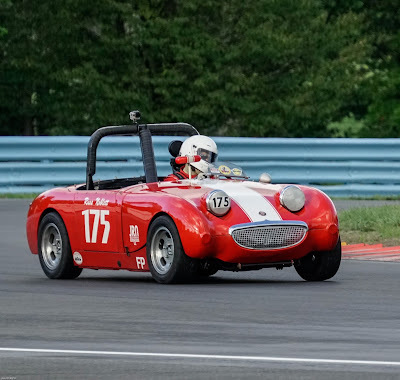 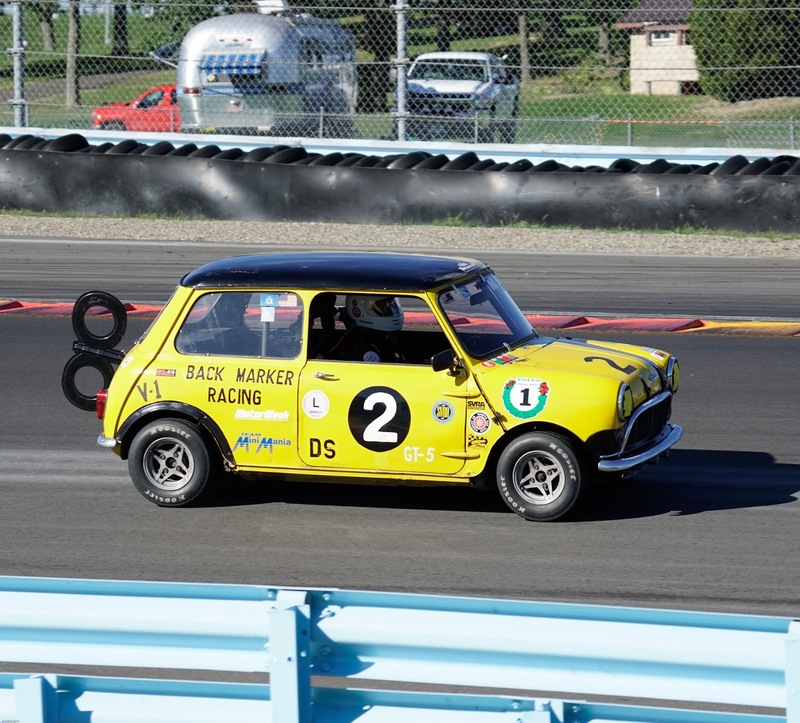 The U.S. Vintage Grand Prix at Watkins Glen affords fans a broad spectrum of cars that will bring back memories for several generations of devotees of the sport. 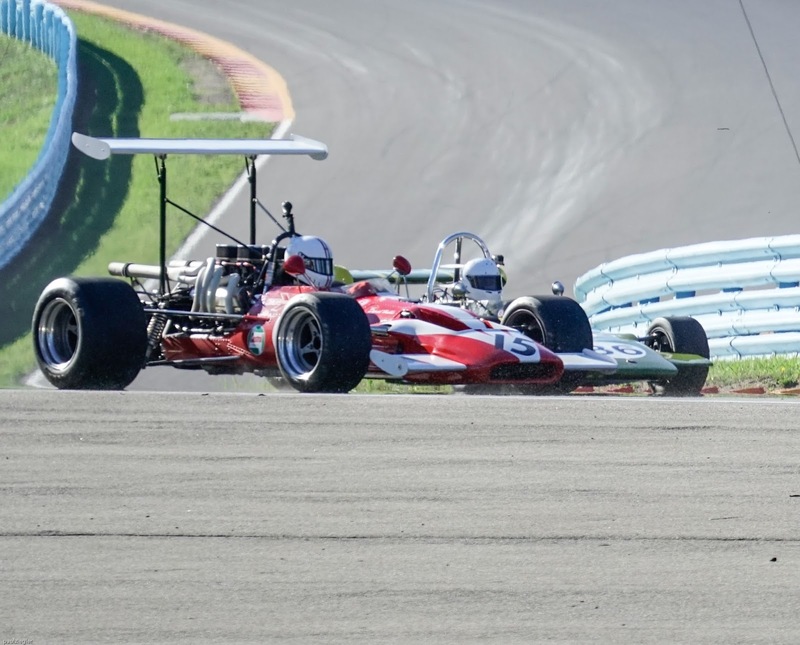 The weather cooperated again, as it did the previous weekend when the Indy Cars raced on the 3.37 mile track in under 1.5 minutes. 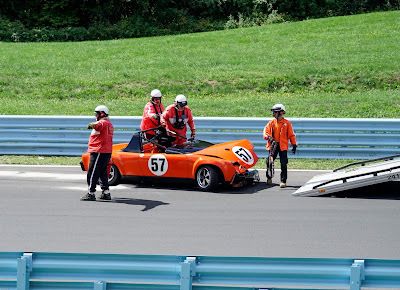 The cars this time were not quite as fast, but they certainly were there to race, not just parade around the course. 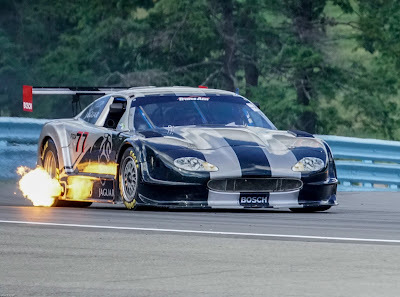 (See the result of pushing it a little too much in one of the pics below). I hate to see these cars get bent up but they do get fixed up again for another day.